You are here: Home / Your Fitness / Stretch Break! If you’ve been sitting at a computer for hours, it’s time for a stretch break. Stand up. 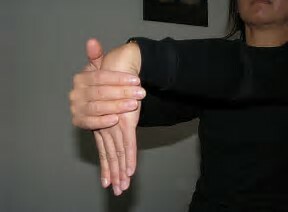 Extend your right arm straight out in front of you with your arm parallel to the floor. Curl your fingers down and in. Hold for 10 seconds, then release. 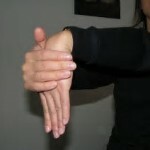 Next, extend your left arm straight out in front of you; curl your fingers down and in, then release.